The flagship store in Shibuya is the only street-level store of our [conocoto] shops. The warm atmosphere helps you to forget about the city as you go down the stairs into the basement. You can have a good time by just looking at the staff member’s hand-made interior design which consists of items such as antique sundries and toys. 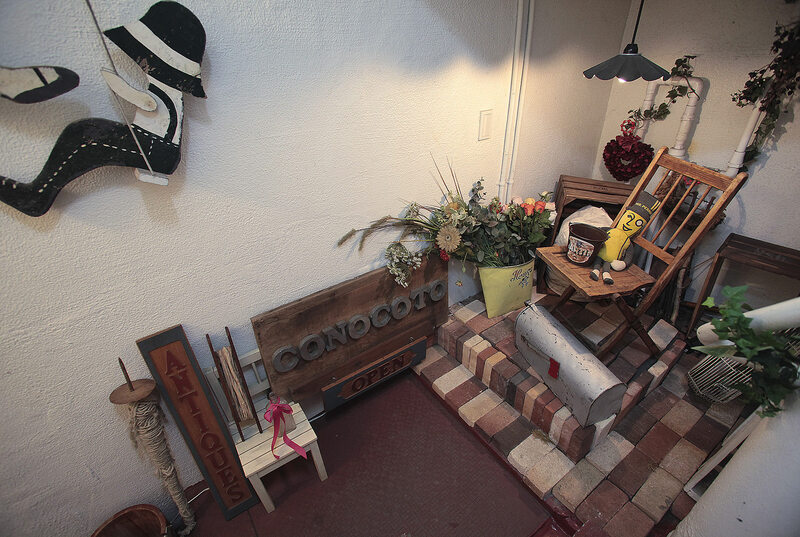 The [conocoto] style includes American second-hand clothing along with vintage, remake and original items. It does not fixate itself to times or genres but instead is particular about texture and fit. One attractive point about [conocoto] is that they offer a wide selection of merchandise such as popular leather items at reasonable prices. The concept for [conocoto] is 3 words; Search! Find! Happy! You can search through our numerous items and find what you are looking for which will put you in a happy mood. Like going on a treasure hunt, shopping here helps you to never forget your desire to have a good time.